Fall is certainly in the air here. The apples are starting to get picked, a few leaves are falling and pumpkins will be right around the corner. 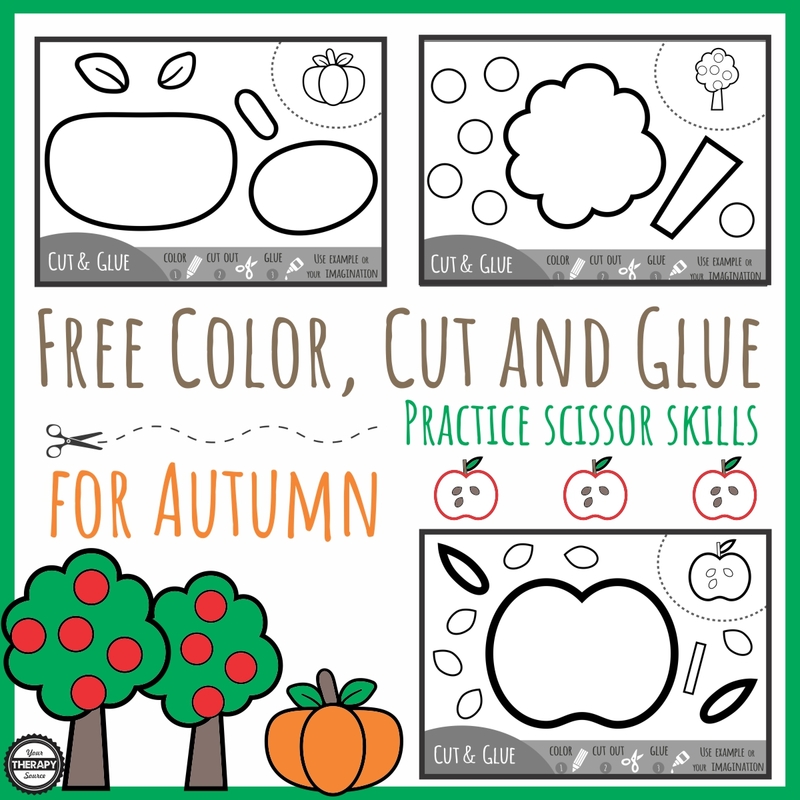 Here are three black and white activity pages to practice coloring, cutting out simple shapes, planning out where to glue the pieces (the trickiest part) and then paste the shapes together to create the Fall themed pictures: apple tree, pumpkin, and apple. Just print and it is all set to go. Remember to get your free copy by signing up for our newsletter at the bottom of the post. Looking for more scissor activities? Here is a Scissors Bundle from Your Therapy Source. Illustrations created by Ksenya Savva and used under Shutterstock License.